At Higher Ed Experts, we believe in the power of education. That's why hundreds of higher ed marketers - your colleagues - and their institutions (universities, colleges and schools) have invested time and money in our trusted training programs. Our higher ed conferences and courses have helped them tackle today's and tomorrow's higher education marketing challenges. Want to get more strategic with your higher ed content across devices, channels and departments? The 2019 Higher Ed Content Conference can help. This annual higher ed conference focusing on content features a dozen of higher ed professionals working in institutions like yours – with real solutions to real content problems. You can attend this online conference with all your content contributors – which makes it a great higher ed conference for digital content teams. Categories: Conferences, Content Strategy, Featured, SEO, Upcoming, and Web Writing. Difficulty Level: Beginner and Intermediate. Audience: Communication Directors, Community Managers, Directors of Web Communications, Higher Education Marketers, Magazine Editors, Marketing Directors, Marketing Professionals, Online Marketing Specialists, Professional Writers, Publication Professionals, Social Media Directors, Social Media Marketing Managers, Social Media Strategists, Web Communication Coordinators, Web Content Contributors, Web Coordinators, Web Editors, Web Managers, Web Writers, Webmasters, and Writers. Need to measure the impact of your higher ed content? 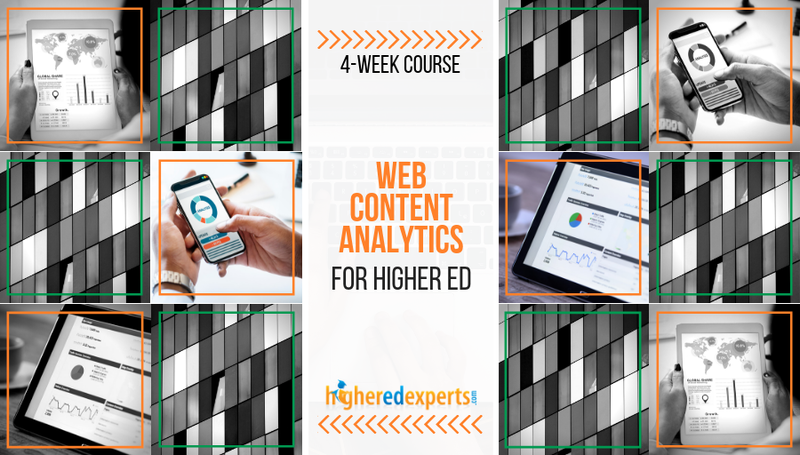 This 4-week online course on Content Analytics for Higher Ed will help you track the performance of your content initiatives. Categories: Content Strategy, Featured, Higher Ed Marketing, Upcoming, Web Analytics, and Web Writing. 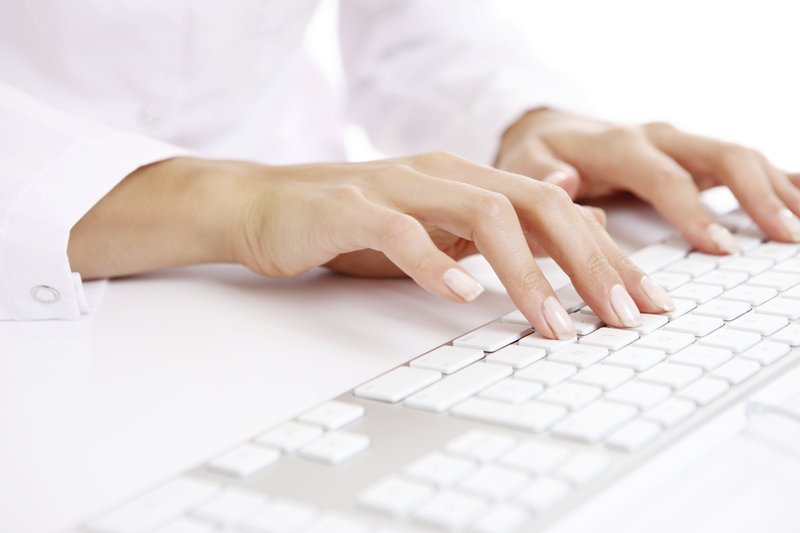 Course Type: Certificate Online Course. Audience: Digital Analytics Professionals, Directors of Web Communications, Higher Education Marketers, Magazine Editors, Marketing Professionals, Web Communication Coordinators, Web Content Contributors, Web Coordinators, Web Editors, Web Writers, and Writers. Not sure how you should measure your digital marketing initiatives, campaigns and efforts? If you’ve never taken the time to set up with your team your strategic plan to measure what matters, this affordable 4-week course for teams (2 to 5 people) will help you define your measurement strategic plan. Categories: Featured, Higher Ed Marketing, Upcoming, and Web Analytics. Course Type: Online Course For Teams. Audience: Communication Directors, Community Managers, Digital Analytics Professionals, Directors of Web Communications, Higher Ed Web Professionals, Higher Education Marketers, Marketing Directors, Marketing Professionals, Online Marketing Specialists, Social Media Strategists, Web Communication Coordinators, Web Content Contributors, Web Coordinators, Web Editors, Web Writers, and Writers. Categories: Featured, Higher Ed Marketing, Social Media, Upcoming, and Web Writing. Audience: Communication Directors, Directors of Web Communications, Higher Education Marketers, Magazine Editors, Marketing Directors, Marketing Professionals, Online Marketing Specialists, Professional Writers, Publication Professionals, Web Communication Coordinators, Web Content Contributors, Web Coordinators, Web Editors, Web Managers, Web Writers, and Writers.